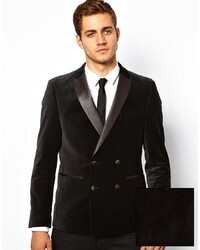 Harry Brown Dove Grey Velvet And Gold Embossed Skinny Fit Suit Jacket £60 Free UK Shipping! 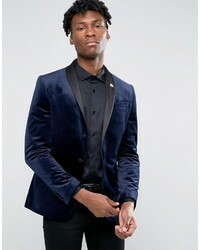 Asos Skinny Blazer In Navy Velvet £83 Free UK Shipping! 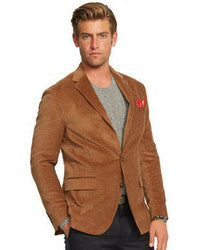 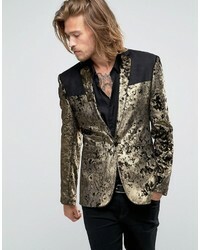 Asos Super Skinny Blazer In Gold Velvet £91 Free UK Shipping! 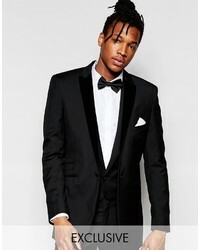 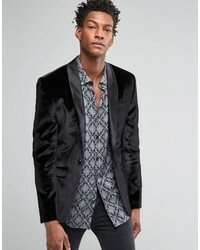 Asos Skinny Blazer In Black Velvet £83 Free UK Shipping! 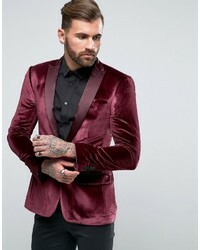 Asos Super Skinny Blazer In Burgundy Velvet £83 Free UK Shipping! 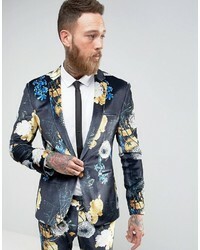 Asos Super Skinny Suit Jacket In Navy Velvet With Bright Floral Print £102 Free UK Shipping!